Manhattan, NY—Former no. 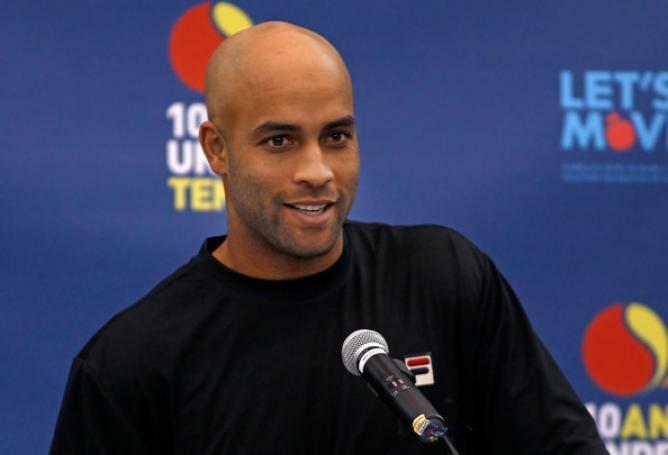 4 world ranked tennis player James Blake was tackled by a plainclothes police officer outside of the Grand Hyatt Hotel earlier this month during the 2015 U.S. Open. Blake was waiting outside to be taken to the tournament to make a promotional appearance. The NYPD released a video of Blake being tackled and cuffed by officer James Frascatore, who has been stripped of his gun and badge temporarily while the investigation takes place. Frascatore had mistaken Blake for a credit card fraud suspect the police had been looking for. Blake was seen on surveillance video shaking hands with Frescatore and conversing with another officer minutes after the incident; however, he has called for the officer to be fired for police brutality. “I don’t think he deserves a badge,” he said. Frascatore has a past history of using excessive force. Only being in the NYPD four years, he has been sued at least four times for roughing up suspects. The NYPD’s Internal Affairs Bureau is now investigating him for this incident. “I want him to know what he did was wrong, and that in my opinion he doesn’t deserve to ever have a badge or gun again because he doesn’t know how to handle that responsibility effectively,” Blake told the Daily News. New York City Police Commissioner William Bratton said he apologized to the former tennis star the day after the incident. Mayor Bill de Blasio also apologized. Bratton agreed that the incident should have never happened but insists it had nothing to do with race. William Bratton has ordered an internal investigation and is trying to figure out how the incident happen and whether or not inappropriate force was used. He also defended reports that the officer did not display a badge, stating that he may have been undercover. Given his past history, Frascatore probably should not have been in the field anyway. The situation raises many questions as to why that type of force would be acceptable anytime. If someone can be tackled for something like credit card fraud, what is the protocol for something more severe?